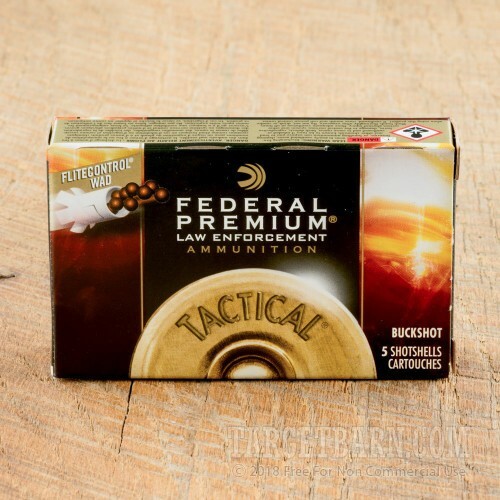 These 5 rounds of Federal Premium Law Enforcement 12 Gauge Ammunition turn any shotgun into a highly accurate tool without the addition of pricey choke tubes or customized barrels. 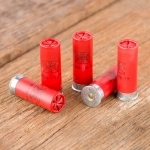 These 9-pellet American made shotgun rounds offer predictable, compact shot patterns. Featuring patented FLITECONTROL wads, Federal Law Enforcement loads are designed to reduce shot scatter. 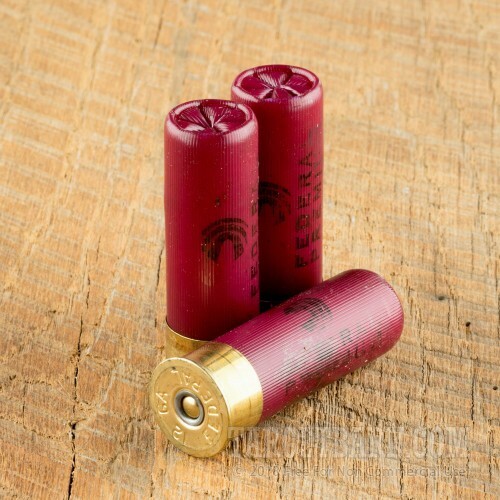 Federal's innovative wad construction keeps the shot contained until after it leaves the barrel, slowly backing away from the shot string contained inside. Other wads dispense shot in a cloud immediately upon firing. This design produces some of the most consistently dense shot patterns on the market. 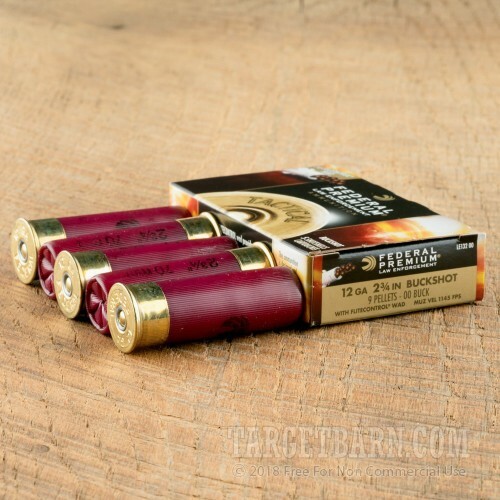 When compared to standard shotgun loads, Federal's copper-plated Law Enforcement ammunition with integrated recoil reduction, provides increased velocity, reaching 1145 feet per second. Designed to neutralize a threat with minimal danger to bystanders, this full-power load is perfect for personal defense, law enforcement, and big game hunters alike. Want a full case of this same 12 gauge load from Federal? We have 250-round bulk ammo cases for sale here.